Dr. Neal H. Mayerson, Ph. D.
Dr. Neal Mayerson, Chairman of the VIA Institute, received his Ph.D. in clinical psychology and worked in hospital, community mental health and private practice settings for 15 years as a psychotherapist with specialties in chronic pain, eating disorders, and couples therapy. Dr. Mayerson is the President of the Manuel D. and Rhoda Mayerson Foundation, a private charitable foundation, President of The Mayerson Company, a real estate investment and management company, and Chairman of Mayerson Academy, a non-profit professional development organization for K-12 educators. He was Founder and Chairman of Hummingbird Coaching Services, a company that pioneered personalized online coaching services, which ultimately was acquired by Humana. He also founded RISE Learning Solutions, a non-profit that provided professional development to preschool teachers nationwide via distance learning technology. In 1999 he collaborated with Dr. Martin E.P. Seligman on the founding of positive psychology, specifically by creating the VIA Institute on Character. The VIA Classification of Character Strengths and Virtues along with the VIA Surveys on Character Strengths are considered to be among the most important outputs in positive psychology, having spawned hundreds of scientific articles and millions of people worldwide discovering their character strengths and how to use them to improve their lives and the lives of others. In his work with the Foundation, Dr. Mayerson has initiated and/or been a principal developer of numerous other nonprofit organizations and programs, including: The Mayerson Academy, the Mayerson Center for Safe and Healthy Children, the Inclusion Network, the Mayerson Student Philanthropy Program at Northern Kentucky University, RISE Learning Solutions, the Mayerson High School Service Learning Program, and the Mayerson Artistic Excellence Fund. In 2016, Northern Kentucky University awarded Dr. Mayerson the Lincoln Award for his outstanding contributions to the community. Dr. Mayerson’s interests are varied, including having introduced instant hand sanitizer (Purell) as a consumer brand, producing the award winning musical CD Hidden Treasures which is a tribute to King Records where rock and roll music was conceived, and establishing a unique social networking site based on conversations in poetry. He also has been awarded a patent for a method for online group conversation. 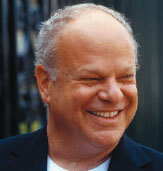 Dr. Martin E. P. Seligman, Ph.D.
Dr. Martin E. P. Seligman, Ph.D, served as a VIA Trustee for its first 10 years. He is Fox Leadership Professor of Psychology at the University of Pennsylvania and received both the American Psychological Society's William James Award (for basic science) and the Cattell Award (for the application of science). In 1997, he was elected president of the American Psychological Association by the largest vote in modern history. The National Institute of Mental Health, the National Science Foundation, the Guggenheim Foundation, the Templeton Foundation and the MacArthur Foundation have supported his research. He is the director of the Positive Psychology Network with a mission to transform social science so it works on the best things in life: virtue, positive emotion and positive institutions—and not just on healing pathology. Dr. Donna Mayerson, Advisor for Applied Practice at the VIA Institute, is a licensed psychologist and earned her master's degree in special education. Formerly a coaching director of Hummingbird Coaching Services, she is a certified coach who has used her deep knowledge of the VIA strengths as a framework for individual and organizational change with hundreds of education administrators and teachers, leaders of youth-serving organizations, in training coaches/practitioners and with individuals and families. Dr. Ryan M. Niemiec, VIA's Education Director, is author of several books including: Mindfulness and Character Strengths: A Practical Guide to Flourishing (with 10-track CD), and co-author of Positive Psychology at the Movies; and Movies and Mental Illness. Ryan is a licensed psychologist, certified coach, international workshop leader, and is adjunct faculty or professor at the following universities: Xavier University (Cincinnati), University of Pennsylvania, IE University in Madrid. Ryan develops VIA's courses, reports, and programs and applies strengths as the centerpiece of Character Strengths Coaching. At VIA, he helps professionals in counseling, coaching, business, disability, and education around the world apply character strengths, personally and professionally in their work. He has published around 50 peer-reviewed or invited articles on character strengths, mindfulness, and related topics. In 2011, Ryan received the Distinguished Early Career Award from the American Psychological Association. In 2014, he delivered over 100 presentations on character strengths. In 2015, he presented a national workshop tour on MBSP across Australia, at universities in Iceland and Spain, a keynote address for the New Zealand Association of Positive Psychology, and the Rex J. Lipman Fellow address at St. Peter’s College in Adelaide. In 2017, he was honored with an induction into the elite class of Fellows in the International Positive Psychology Association (IPPA), for his work contributing to the scientific advancement of knowledge in character strengths, mindfulness, positive media/movies, and positive interventions. On a personal level, Ryan’s signature strengths are hope, love, curiosity, fairness, honesty, perspective, and appreciation of beauty. He enjoys spending quality time with his wife and children, playing basketball, watching positive psychology movies, following Michigan State athletics, playing online chess, and collecting Pez dispensers. Dr. Robert McGrath, Senior Scientist, received his Ph.D. in Clinical Psychology from Auburn University and is currently a Professor at Fairleigh Dickinson University in the School of Psychology. He directs Integrated Care for the Underserved of Northeastern New Jersey, a program offering free brief behavioral interventions to low-income primary care patients. Dr. McGrath also maintains an active research program in methodology, measurement and professional issues. He has authored over 250 publications and presentations, including several books on research methodology, and is a contributor to APA Books’ multi-volume reference The Handbook of Research Methods in Psychology. 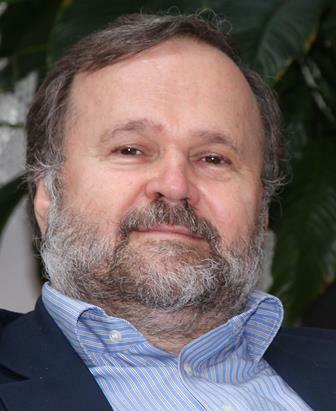 Professor Willibald Ruch, Senior Scientist, is currently chair of the section of personality and assessment at the University of Zürich, Switzerland. He received his PhD from the University of Graz, Austria and later worked at different universities in Germany, the UK and Switzerland. Between 1992 and 1998 he held a Heisenberg-fellowship awarded by the German Research Foundation (DFG). He has taught various courses on personality and assessment at different universities and he has authored about 230 journal articles and book chapters and co-edited and co-written five books. Willibald is co-editing or on the editorial board of several journals (including Journal of Individual Differences, Journal of Research in Personality, Journal of Positive Psychology), and co-editor of two book series. Currently he is working on positive psychology traits (e.g., character strengths and virtues; orientations to happiness, cheerfulness, humor) in adults and children/adolescents and their role in contributing to the good life. He is a founder member of the International Positive Psychology Association (IPPA) and president of the Swiss Positive Psychology Association (SWIPPA). 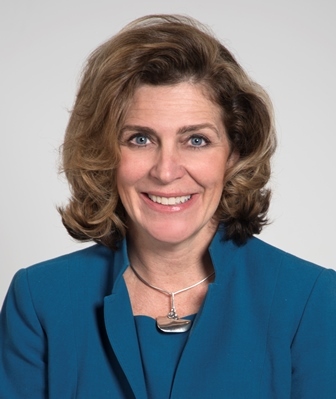 Dr. Jillian Darwish, VIA's Lead Consultant for Educational Practices, currently serves as president of Mayerson Academy, a non-profit organization working with schools and districts across the country to design customized services and learning experiences for the education sector. Mayerson Academy partners with Cincinnati Public Schools to deliver more than 600 learning opportunities for the professional development of more than 3000 educators annually. Using online, blended or place-based experiences, Mayerson Academy reaches nearly 100 districts across the country with professional learning services. Prior to arriving at the Academy, Darwish held leadership roles in a broad spectrum of organizations, including philanthropy, public television, professional service agencies, higher education and the K-12 system. Darwish has developed and led numerous teams to create highly regarded and internationally distributed future trends publications; a thriving peer-to-peer online learning community for teachers; widely distributed multimedia educational products and services; and breakthrough results in organizational culture improvement. Darwish has delivered more than 100 international, national and regional keynotes, workshops and panel discussions on strategy, innovation, the future of learning and the application of character strengths in education to expand motivation, collaboration and learning. She is an award-winning educator who earned a bachelor’s degree from the University of Cincinnati College of Design, Art, Architecture and Planning; a master’s in elementary education from Xavier University; and a doctorate of education in curriculum and instruction from the University of Cincinnati. Michelle McQuaid's role of Lead Consultant for Business Practices for the VIA Institute utilizes her extensive experience and passion for bringing out the best in people at work. Through her videos, books, training programs and games, she’s helped thousands of people to leverage their strengths, challenge their beliefs, build their resilience, create great relationships and smash through their goals at work. She prides herself on helping people create jobs they like and careers they love. Her blend of real-world successes, actionable advice and enthusiasm for life make her a favorite of audiences around the world. Michelle fuses positive psychology, neuroscience and purposeful games into simple, practical actions that anyone can take to create positive changes that last—be it bottom-up one person at a time or top-down across entire workplace.